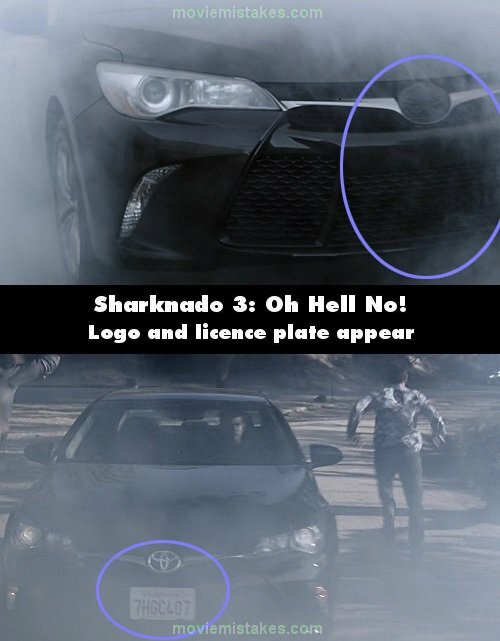 Continuity mistake: After Claudia leaves the ride without her cell phone it cuts to Fin driving his car into dense fog, and in the exterior shots the Toyota's front grille emblem as well as the license plate inexplicably vanish, and then reappear. Continuity mistake: When Fin is talking to Nova and Lucas after the fog, the cut on Nova's cheek changes sides from left to right many times throughout the scene. Continuity mistake: On the Space Shuttle, Gil Shepard holds up his flight wings with his left hand, but next shot it's held up in his right hand. Continuity mistake: When Nova shows Fin the two scenarios that Lucas modeled, her cell and its case differ in the closeup. Continuity mistake: While Fin is at the top of the ride, when he holds out his cell to show the guy Claudia's location he's holding it with his right hand, but in the closeup he's holding it with his left hand. Continuity mistake: At Universal, before Fin heads up to the Hollywood Rip Ride Rockit he holds out his cell to locate Claudia, then it cuts to the close up and the cell style has changed. Revealing mistake: During the "fognado," when Fin is lifted off the ground, his shirt is pulled up due to the harness and its cables. Continuity mistake: When Fin is driving towards the fog, in the interior shots of the car's dashboard the CD area changes, then reverts back. Buy the booksMost popular pagesBest movie mistakesBest mistake picturesBest comedy movie quotesMovies with the most mistakesNew this monthTitanic mistakesBatman Returns mistake pictureMonk mistakesSecret Window endingI Am Legend questionsThe Passion of the Christ triviaStep Brothers quotesAvatar plotJason Statham movies & TV showsThe biggest mistakes in the Harry Potter moviesTitanic mistake videoMore for Sharknado 3: Oh Hell No! Fin Shepard: How can they survive in space? 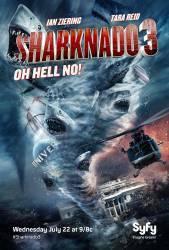 April Shepard: How can they survive in a tornado? After Fin receives the Presidential award he's introduced to "Mr. Benchley from The Post." Peter Benchley is the name of the author of 'Jaws' the novel, and Benchley also co-wrote the screenplay for 'Jaws' the film.